Join RAF and the Roseville Raider High School Fastpitch team for youth day! On Saturday, April 27th, the Raiders will be taking on Moundsview at the Fairview fields in Roseville. They invite RAF families to enjoy fun and festivities while cheering on our favorite high school fastpitch team. The online store closes at midnight on Saturday April 27th. Roseville Area Fastpitch is a non-profit organization dedicated to providing an opportunity for girls up to 18 years old to compete on the softball field. RAF is organized and administered by an all-volunteer Board of Directors who each shares a common mission to provide an opportunity for girls of similar age and similar abilities to participate in a competitive organized softball program. We are always excited to have new faces joining our fastpitch program! We have developed a list of our most common questions & answers to help you learn more about our program. How do I know what age level my daughter should play in? Age groups are determined by the age of the athlete on December 31st of the previous year. For example, if you are 12 years old on Dec. 31st of 2018, you will play on the 12U team in 2019, even if you turn 13 before the softball season started. Are there tournaments/weekend games? Yes. Your registration fee pays for 2 tournaments + the end of the year league tournament. Are there state tournament/national tournaments available? Yes. Your team can qualify for the State Tournament during the year end league tourney. Teams can qualify for national tournaments from their other tournaments. Cleats. Not required but recommended. No metal cleats until 14U. If you have soccer cleats and they fit - use them. Sliding Pants and Knee sliders are optional and up to the girls (parents) discretion. We are proud to partner with Minnesota Fastpitch Academy to bring excellent winter workouts to our RAF players. 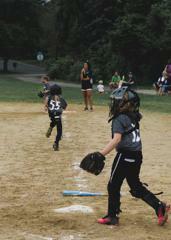 For more fastpitch training opportunities, click on the PDFs below! These fine organizations make what we do possible. Please show your support to these amazing sponsors and thank them for their commitment to our organization. Interested in becoming a sponsor? Contact Kelly Affeldt. LCRA is a proud supporter of Roseville Fastpitch. LCRA sponsors many local events for the residents of Little Canada -- including Canadian Days Events, Ice Fishing & Golf Tournaments. Check out their website for the full list of events. ©2019 Roseville Area Fastpitch Association / SportsEngine. All Rights Reserved.